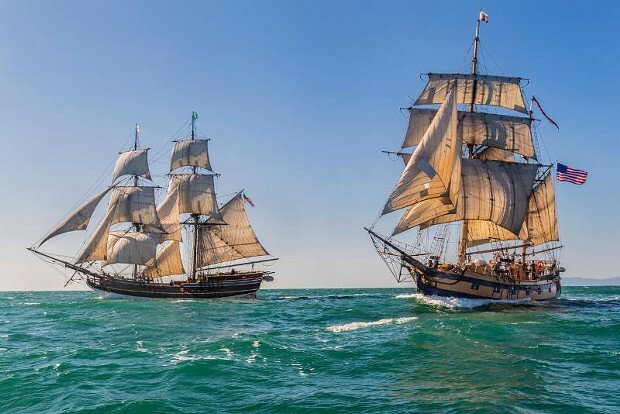 The Lady Washington and the Hawaiian Chieftain embark on family-oriented adventure sails, exciting battle sails and romantic evening sails. Tours are also available. This year, the tall ships will also be participating in the inaugural Salt and Fog Fish Festival sponsored by Visit Eureka. On Fri. April 26th, the vessels will mark one end of the evening pub crawl and will have open tours for festival guests from 2:00 PM - 6:00 PM. On Sat. April 27th Lady Washington will host City Councilor and environmental lecturer Natalie Arroyo for a natural history lesson under sail.